Having 800 million people one website is truly amazing, and to have personal information about all 800 million people is a goldmine (only to a few people). 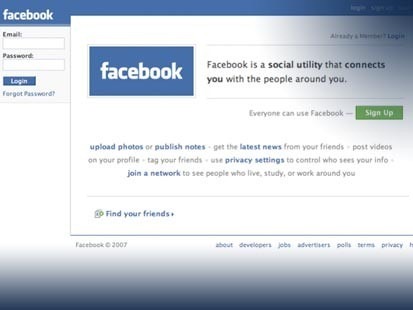 Essentially, Facebook could almost be considered as a digital, public accessible database of people all over the world. 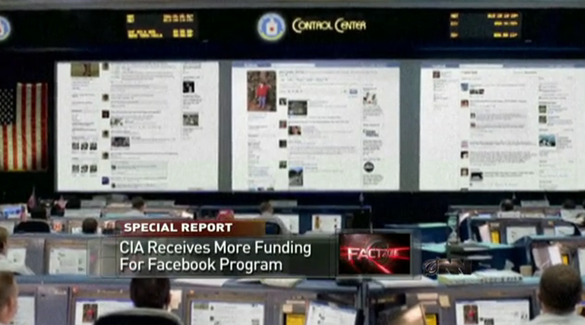 As The Onion News Network puts it, Facebook is a secret government CIA spy tool. A humorous video to watch! However, there is one feature that Facebook is currently missing, a feature that in my opinion that will change how we meet people both online, and in person. I am sure many of you have also come across the same problem I have, which I hope in the future, there will be a solution available. Throughout my life, there have been people who I’ve come in contact with, however, we only met once and we never exchanged names so I have no clue on who that person was, or how to contact that person. It’s during those times when you sit across from someone on the train and you want to talk to them, but don’t have the courage; or they’ve dropped something, turned a corner to never see them again. You want to see this person again, but you know they are gone forever. I am sure you have met someone in your life that you would love to see again, whether it is an old primary school friend, or that person you haven’t seen on your way to work for a long time. Since Facebook has the largest database of people, it would be hard for any other service to get the exposure of people that is required. The feature that I would love Facebook to implement is one where you can find these strangers you’ve met in the past and get in contact with them. What I propose Facebook should develop is a tool in which you can fill out a form or a questionnaire about someone you wish to find. You provide information such as when you saw this person, where you saw this person, what the person looked like, and other relevant information in hope someone who was there at the same time, in the sample place would know who it is, or how to contact them. Just think how it could work. Hypothetically speaking, if I was at a nightclub in the city and I met someone who I talking to all night and it felt like we had a real connection, all of the sudden the fire alarm went off and everyone had to evacuate. We left each other to go find our friends, never exchanging information. Hours pass, and you never so this person again, and you really want to reconnect with this person, you have no hope. If Facebook provided a service that allowed you to fill out a form requesting to find someone in hope that someone who was there could tell you who that person was. And with Facebook Places and Check-ins, those who checked in at the nightclub that night would be notified to see if they know the person you are looking for. This would be a really valuable tool to have. Another example: For those who watch How I Met Your Mother. In the first season, remember when Ted meets Victoria at Claudia and Stuarts wedding. Ted and Victoria, fall in love, but never exchanged contact details, so they’d never be able to see each other again. It was only until Robin knew who Victoria was which allow Ted and Victoria to finally meet again. This is what Facebook needs – a tool to help people reconnect with each other. Imagine what Ted would have missed out on if Robin never met Victoria? The solution will bridge the gap between Facebook Stories, and the Find Friends feature that currently exist. What Makes a Good Tech Product? There is a site called missed connections that does exactly this..